We certainly hope you enjoyed the UN Day Community Lunch and we would like to THANK YOU again for all your delicious food contributions! 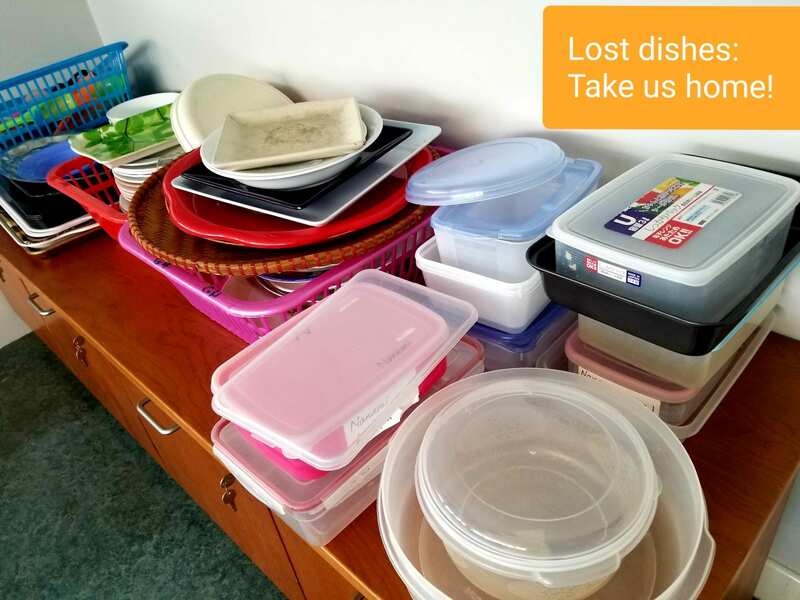 Now we have some lonely left-over plates, dishes and containers that are wanting to return home. Please stop by the Advancement Office (Building 7 Room 102 upstairs) to be reunited with your long lost dishes! We will keep your dishes in the Community Room until Friday 18 January, before they will be donated to a new home for charity. Questions? Contact Huong at advasst@unishanoi.org . This entry was posted in allschool by clo. Bookmark the permalink.